If you're a small or start-up company, there is a fair chance that you've never hired a temporary worker before. Such professionals, according to Monster, are workers that are sourced through staffing agencies and join companies for an often limited and set period of time - usually no longer than several months. You may one day find that you need a temporary worker to fill a short-term absence of a valued employee, or provide extra assistance during a particularly demanding and time-sensitive project. Temporary workers are generally found through an agency, such as Beacon Hill Staffing Group, and will receive payment through that organization. According to USA Today, temporary workers seek employment across an array of industries, including marketing, finance and health care. There are a number of significant reasons why hiring temporary workers could be a shrewd move for your organization. If you are in a position where hiring a temp could be beneficial, but are unsure if it is the right move for your company, read on. One of the most appealing reasons to hire temporary workers is that it saves a significant amount of money. As the Houston Chronicle pointed out, expenses associated with direct hire candidates, such as health insurance and vacation pay, are not necessary when you hire a temporary worker. The source noted that the only additional expenses that are typically incurred with temp workers is overtime pay, should you need them to stay at the office longer than their contracted hours. "Hiring a temp saves a significant amount of money." Deciding to hire a permanent employee is often a time-consuming process. In larger companies hiring managers or human resources professionals will be in charge of hiring, while in smaller companies or start-ups such responsibilities will fall under the remit of managers, who likely already have a heavy workload. In any case, the amount of time that it takes to hire an employee, from initial applications to offer letters, can be detrimental to office efficiency. There is a good chance that you won't have the time to wait for the very best candidate for the job, increasing the risk of a bad hiring decision. According to Entrepreneur, opting for a temp worker, however, eliminates a lot of the time and effort associated with direct hiring, as your staffing agency will take care of the interviewing and screening process for you. Better still, many staffing agencies will make use of a 'talent pipeline' - a network of suitable temporary workers who can be enlisted for a new job at the last minute. As outlined above, staffing agencies will take care of the screening and interviewing process for you. They will also likely have a database of candidates that are qualified for the positions you are looking to fill. Given that representatives from staffing agencies spend their careers scouting and interviewing new talent, they are uniquely equipped to find quality candidates – something that you may not be able to commit the time and energy required to do. Furthermore, as the Houston Chronicle detailed, you may wish to regard a temporary workers' presence as a kind of extended interview process. 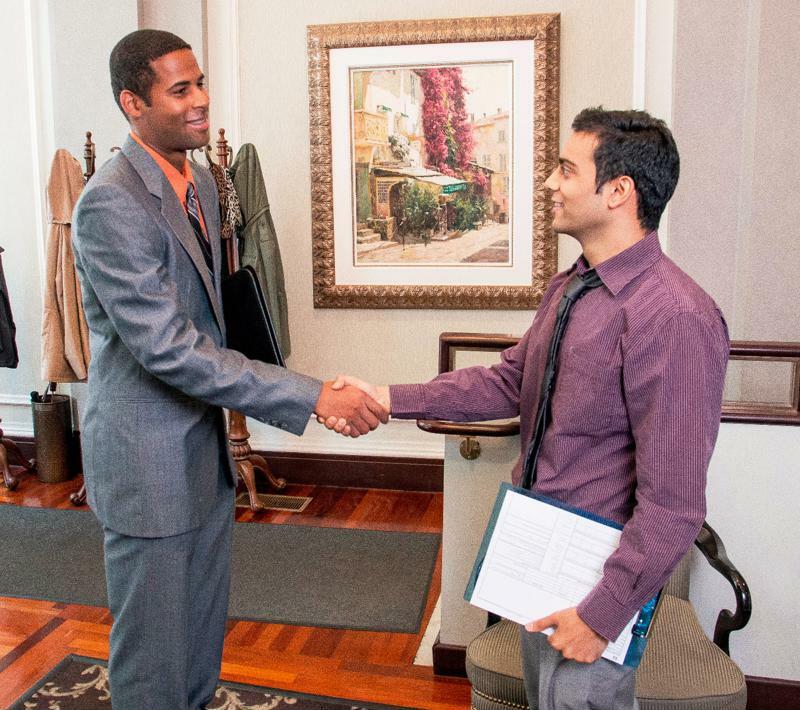 Many employers hire their temps full-time if they are impressed by his or her performance. "When your team loses an employee – whether through resignation, medical leave, termination, or promotion – it can cause chaos for the staff left behind," says Rebecca Wright, Regional Director of Beacon Hill's Associates Division. "Hiring a temporary candidate through a staffing firm who understands your culture and industry can be a quick, effective and often long-term solution. The majority of our temporary workers are extended beyond the initial anticipated duration, and about 1 in 5 placements are offered permanent roles." Now could be the time to welcome a temporary worker. As LinkedIn noted, in today's fast-paced and hectic workplace permanent employees can benefit greatly from vacation time. They can take time off and return to work with recharged batteries and a renewed mindset. By hiring temporary workers during periods when many take vacations - holiday season and the summer, for example - you can ensure that your full-time workforce get the rest that they need to continue working hard for your organization. Furthermore, temporary workers can also add extra support, even when every full time staff member is in the office. For example, if a particularly large and time-consuming project arises, hiring the extra help offered by temps removes some of the stress for your full-time employees, and helps ensure that they don't become burned out and unproductive.